Our skin care specialists at Mod Skin and Body, address a variety of skin concerns such as sun damage, premature aging, wrinkling, acne and loss of vitality, tone and radiance. We rely on our knowledge and our innovated products to target skin conditions that transform. By integrating cutting-edge technology and active ingredients which are infused in all of our Mod treatments, we can deliver beautiful results worth noticing. With a variety of wax options, we can ensure that the removal is successful and the safety of the service is achieved. Is A Dybnamic New Treatment,SUPERIOR TO MICRODERMABRASION ALONe. THE REVOLUTIONARY SILKPEEL COMBINES CRYSTAL-LESS EXFOLIATION WITH A PATENTED TECHNOLOGY THAT ACTUALLY INFUSES SKIN- SPECIFIC SOLUTIONS DEEPLY INTO THE SKIN. THIS DUAL APPROACH IMPROVES SKIN TONE AND TEXTURE WHILE HYDRATING, BRIGHTENING AND CLARIFYING BOTH NORMAL AND ACNE-PRONE SKIN. GREAT FOR ALL SKIN TYPES AND AGES. THE TREATMENT INCLUDES EXTRACTIONS (IF NECESSARY) AND A RELAXING NECK & SHOULDER MASSAGE. Our premiere mini-facial is designed to quickly and simply brighten dull, lack-luster skin. The Refresh includes a consultation, basic cleansing, light steam, swift massage of the face, neck and shoulders, finished off with a moisturizer and SPF. Customize your facial. Your face is beautifully unique and so is this facial. A classic, European-style deep poor cleansing that employs a wide range of products suited to your individual skin needs. 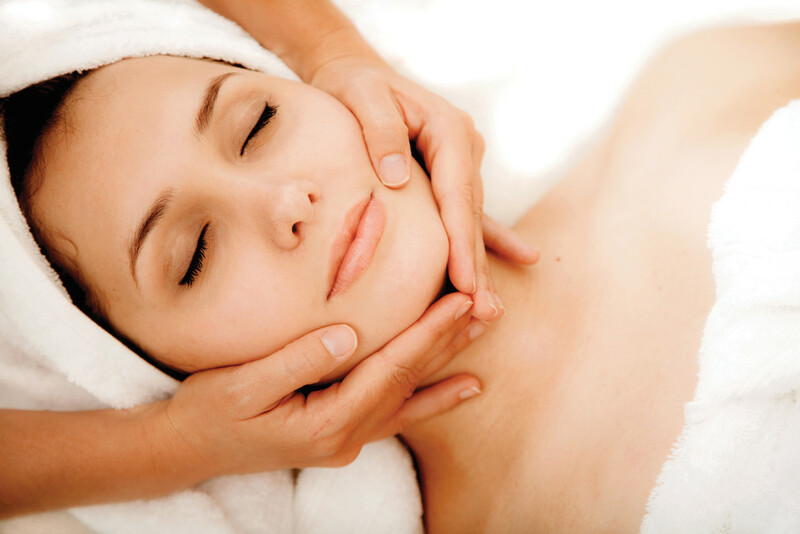 This facial will leave you cleansed, exfoliated, pampered, nourished and radiant. Vitamin C is a well-known beauty trick to revitalize dry, dull-looking skin. Our combined mix of vitamin infused serum, will leave your skin feeling and looking more youthful, with a revitalized, firmer complexion. Get ready to Glow. Attract the right kind of attention with this ageless treatment. From start to finish you'll receive the highest level ingredients and technology geared towards toning and tightening. Skin cells are renewed through stimulation and deep penetration to help with the production of new collagen and elastin. Experience the transformation with this alluring and captivating service. This result-oriented treatment is customized to address special skin conditions including hyperpigmentation, congested pores, fine lines and premature aging. Polish away unwanted marks with a 30% glycolic peel, followed by our refining clay mask. By removing the dry, dead skin cells and debris, your skin is enhanced by the absorption of natural brighteners. Finished off with a moisturizing tinted SPF 30, to ensure the progression of healthy-bright skin. Blemishes, acne scars and breakouts are never an accessory worth having, especially since they're notorious for having the worst timing. Say Goodbye once and for all with this intense, effective facial through our customized use of active ingredients and electromagnetic frequency. Your first visit will include a before photo so you can track your progress on the road to beautiful, clear skin. An express treatment that is customized to your teen's needs, followed by a consultation about what home care products and tips can be implemented in a daily routine. Includes: Cleansing, skin analysis, steam, extractions, light massage and finished with a moisturizer and SPF. Tailored specifically for any man. Our gentleman's facial focuses on deep cleansing clogged pore, razor burns and fine lines. Look sharp with this head turning treatment. Includes a rejuvenating face, neck, hands and shoulder massage with rich hydrating cream. After this treatment, all you guys will be GQ ready. This is the "Wow" factor.If you're looking for instant gratification or something to give your skin an added boost right before a big event, this is what you need. Transform your skin with this safe exfoliating treatment reducing fine lines, sun damage, irregular pigmentation, redness and acne scars. Skin analysis will determine what chemical peel will best fit your skin needs and your daily-life. Chemical peels are used to improve and smooth tone, texture and clarity of the skin while removing damaged outer layers. Ready to amp up your skin treatments? Lactic Acid offers exfoliating and moisture retention properties. Will promote softer, smoother skin and reduce the appearance of fine lines and wrinkles. This classic active ingredient leaves the skin feeling hydrated and firm great for all skin types and conditions. Are you ready to look and feel radiant? Then you're ready for Obagi Radiance Peel, the in-office peel that gives you instant glowing results. What to expect, instant glowing results, tighter, smoother, brighter-looking skin just after 1 peel. Quick and easy in-office procedure with little to no downtime. Chemical peel procedure designed to help reveal younger, healthier-looking skin one layer at a time. Consultation is needed prior to treatment. Skin treatment is recommended to those who have completed their 12 week Obagi Home Care Transformation Kit. How to prepare: The hair must be 1/4 of an inch long, PLEASE no sun bathing 48 hrs. prior to hair removal, come to your appointment freshly showered and clean of ALL oils and lotions, loofah or gently exfoliate your skin prior to your appointment. A wonderful way to enhance your eyes and frame your face without daily makeup. Your lashes and brows will remain beautifully tinted using vegetable dye for up to one month.